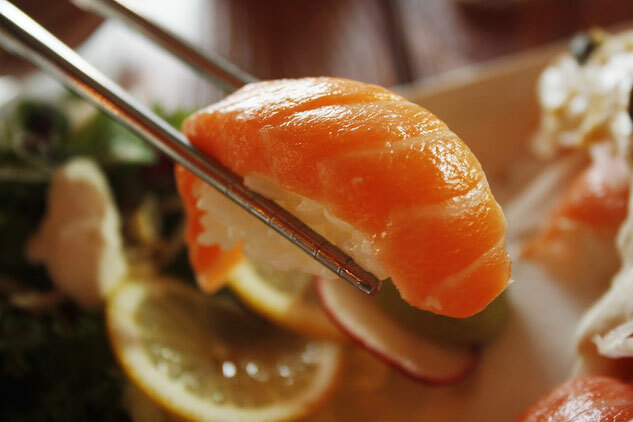 Divers, why do we still eat the fish we try so hard to protect? Do you eat fish? If you do are you aware of how fishing is killing the ocean? Why as divers do we try so hard to protect fish, never touch them, never harm them, but happily have them killed and cooked for us to eat..
At Girls that Scuba we are not all vegetarian or vegan - however a lot of us are - this article has been proudly written by both fish and non-fish eaters with the understanding we are not trying to influence the readers decision, but to open their mind to sustainable practises to save our ocean. We care about our oceans, we will never stop fighting for it, and fishing is a huge threat to our ocean - so we cover this topic like we would any other threat. How can we eat fish and also believe it is wrong to kill them? Dr Laura Walton from www.scubapsyche.com explains: "We have physical needs, and we do need some source of protein and other nutrients to survive, but that doesn’t really answer the question for those of us who have the luxury of choosing what we eat. So we need to consider things like beliefs and values. Fish are food, fish are friends! We are always experiencing new things, so sometimes we receive information that does not match our existing beliefs... and that is really uncomfortable. So our brains work to get rid of it before we even get to feel uncomfortable. The technical name for this is “cognitive dissonance”. Our brain prefers to hold onto the original belief, and actively hunts around for more information that allows us to do that, even in the face of differing information." 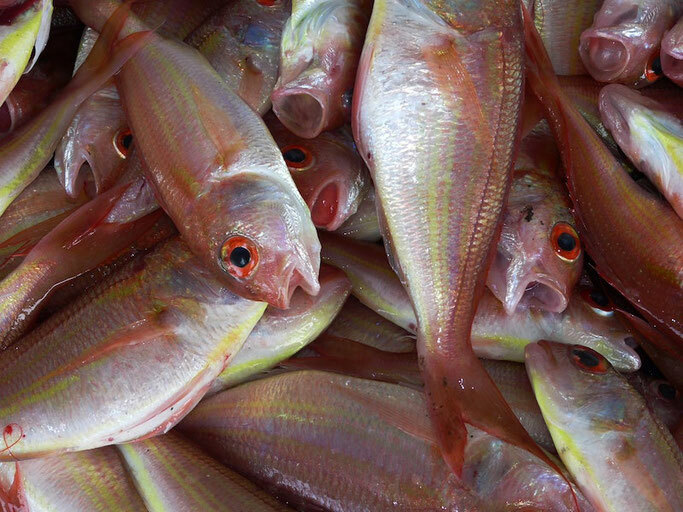 Do we eat fish because our brain doesn't know how to stop a habit? And one that tastes so good? Or do we just not know the effects fishing is having? Do we really know what "Sustainable" means? Some fish-eaters will say they only eat "sustainable fish" but do we know what that really means? The definition of sustainable in relation to the environment is: "Capable of being continued with minimal longterm effect on the environment"
National Geographic told the world that Seafood may be gone by 2048. If we can already predict when something will run out, this is not sustainable. Species like jack mackerel once thought as impossible to over fish have only 10% of their population remaining. So even when we know this why do we continue to kill and eat fish the way we are? GTS moderator Weeze Coulcher from weezexchristina.com says: "The fishing industry has done well in promoting sustainable fishing, but personally, I don’t believe it, not on a large enough scale for it to really matter. If I just think about it logically, and how many people eat fish, I know there’s no way supply created even closely equals the demand. And do I really believe commercial fishing operations are being policed properly? Nope. Over 200 million sharks are killed each year for their meat and fins and I know that there aren’t large scale breeding shark nurseries. (An argument often used for eating livestock.) The numbers are just falling drastically. All over the world there is less in the oceans than there was 10, 20, 30 years ago. Even at just age 36, I’ve seen huge changes in places I used to snorkel in, and now dive in. And almost everyone around me is tucking into seafood lunches, and eating seafood dinners. There is no hidden link to me, it’s obvious. And I don’t understand why those who love these creatures, and wish there was more of them, eat them." Killing fish to eat isn't just causing harm to the fish - there are many, many other problems from the demand of fish for food. Have you ever heard of Aquaculture? As a diver, I have become aware of the need to protect our oceans and the marine life within it, and this is the reason I chose to stop eating fish two years ago. There is obviously the issue of commercial fishing which destroys the ocean bed, our precious coral and I don’t even wish to discuss bycatch. So what about one man and his line, that’s sustainable right? Maybe so, but discarded fishing line is the cause of the majority of our micro-plastics in the ocean. We all know the world has a plastic problem, so I don’t wish to contribute to it by eating line-caught fish. However there was one issue that turned me from someone who used to eat fish, to a vehement non-fish eater. Aquaculture, otherwise known as fish farming, or as I like to call it “battery fish”. I was stunned to hear that 50% of the fish eaten around the world comes from aquaculture. The reason? Because we have already over-fished our oceans by 50%, the only way we can continue with the supply and demand is to build fish farms. Salmon, cod, carp and trout are the some of the most common types of fish farms. Fish are bred in huge tanks specifically for the fish industry. Thousands of fish live in a tank with no room to swim, they are just “living” on top of one another, existing purely to be eaten. Like I said “battery fish”. As a diver, I like to see my fish swimming freely. There are many problems with fish farming. They are carnivorous so only eat other fish, and studies have shown it takes over 5 pounds of wild fish to feed 1 pound of salmon – and the wild fish is caught by unsustainable methods. 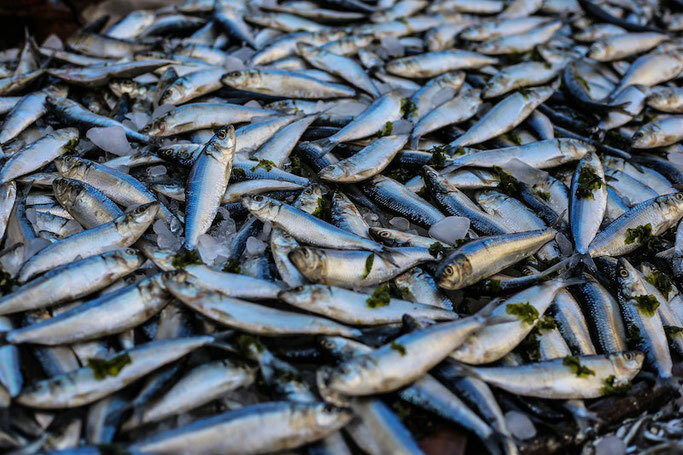 Overcrowding of fish means more disease. Farmed fish have to be fed with chemicals and antibiotics to keep them healthy. Nutritional value of farmed fish is also diminished, because they do not have the same varied diet as they would in the wild. Aquaculture farms in the ocean also means fish that escape spread their diseases to wild marine life which is not good for the environment. I could go on! Admittedly, on one hand fish farming is good for our oceans. It takes the strain off commercial fishing as it’s a viable, sustainable method of meeting the supply-demand. However, in my head, I just cannot get the image out of my head of “battery fish”, and all the negligible “health benefits” from it. If you are a scuba diver or free diver, I implore you, for the love of fish you see swimming freely, view them as friends not food. Our oceans will thank you for it. So you still don't want to give up eating fish because (other than it tasting good) you think there is enough fish in the ocean (wrong) and actually fish aren't that cute (wrong again). What about dolphins. Would you eat one? No. But by eating fish you are causing the death of dolphins. How about turtles. They are dying for our sushi too. Sharks, whales, birds, seals, too. We could go on. All dying for our dinner. Let's talk about BY CATCH. What happens to the animals caught in bycatch? They are thrown back into the ocean dead or about to die. That's it. Caught by "mistake" then discarded. And this doesn't just happen in the deep ocean. It happens getting your shrimp too. In some instances for every 1kg of shrimp trawled there is 20kg of bycatch! 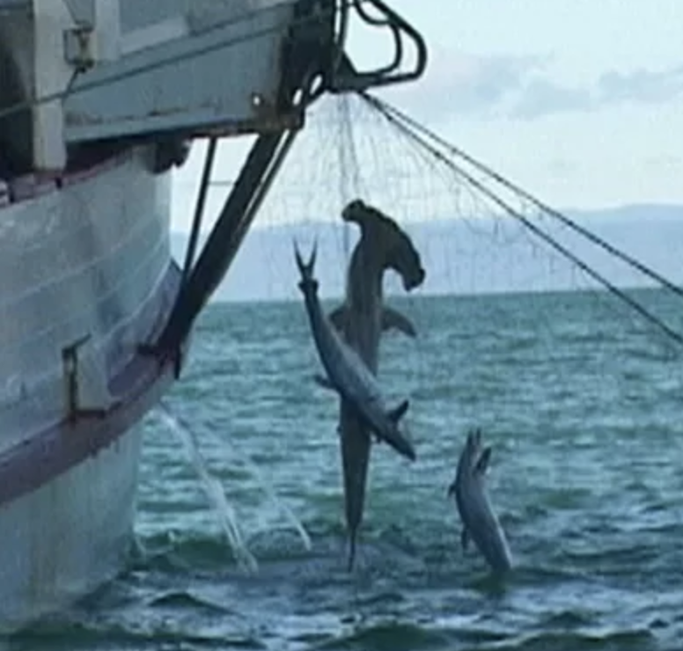 Removal of essential predators: Sharks and tuna are susceptible to overfishing, and when they are removed from the areas they live in, this means that sea creatures further down the food chain are negatively impacted. 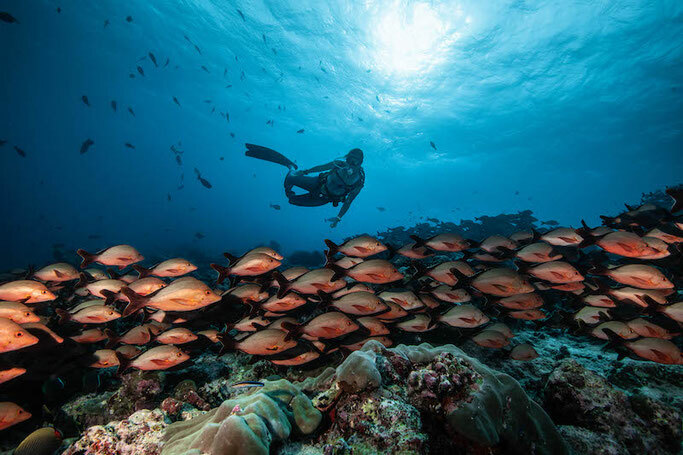 Poor coral reef health: With a larger amount of smaller marine creatures comes greater damage to coral reefs and other elements of the ocean’s ecosystem. 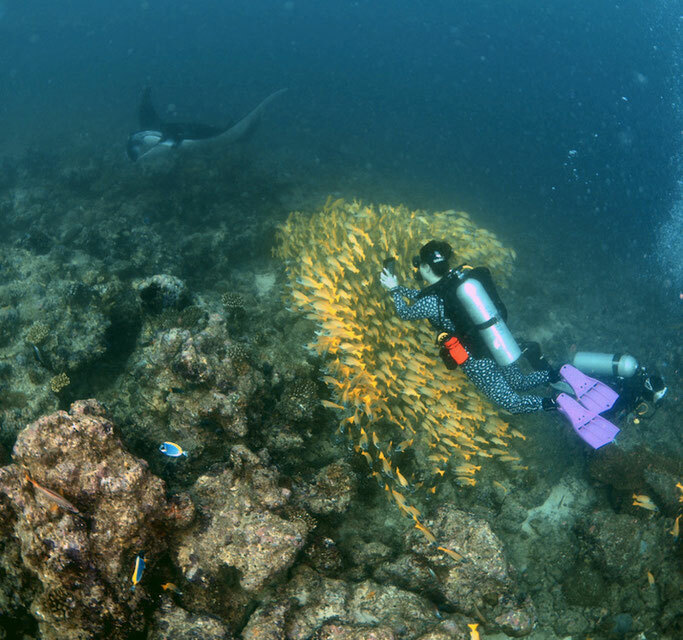 Reefs are essential to ocean life, and once they are harmed, it is hard to repair the damage, if at all. Threat to local food sources: There are a number of communities around the world that rely on fish as their primary resource for food. The growth of overfishing has caused serious threat to these communities, which are often located in developing countries. Without the ability to catch their food, their populations are threatened. If you want to know why these species are endangered and more information on them check out this article. Don't be afraid when at a restaurant to ask where the fish is from and what fish it is - you should always know the source and the species and make sure you are not eating an endangered species. Take a look at this list of supermarkets to see which ones sell endangered fish - and don't buy your fish there.